Whether a child is a newborn or growing into adolescence, they need reliable Pediatric Care from a trustworthy provider. Pinehurst, North Carolina residents can call upon the team at Pinehurst Family Care Center, P.A. for all their Pediatric Care needs. When Should Well-Child Visits Be Scheduled? Well-child visits should start when a baby is still a newborn. Children should see the pediatric care doctor at 3 to 5 days old. After that, well child visits should happen at 2 weeks, 2 months, 4 months, 6 months, 12 months, 15 months, 18 months and 24 months. Well-child visits should continue on a yearly basis thereafter, with separate visits to address any sudden illnesses or concerns. Well-child visits are important for both parents and children so that parents can make sure the child's behavior, development, and overall health are good. Immunizations are needed to protect children from serious and possibly fatal diseases. The doctor will provide parents with an immunization schedule that details when each immunization should take place. Having these immunizations on time can help reduce infections due to vaccine-preventable disease by a dramatic rate. What Information do New Pediatric Care Patients Need to Bring With Them? Parents should be sure to bring insurance cards, any medical records from other healthcare providers, and any records of past immunizations. What Qualifies as a Pediatric Care Emergency? Children tend to get into a number of scrapes, and they may suffer from illness more often than adults. Knowing when something is a genuine emergency can be challenging, so it is always best to err on the side of caution. 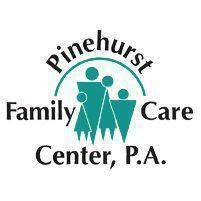 Call the staff at Pinehurst Family Care Center, P.A. We will be happy to discuss the child's illness or injury to help parents determine whether the child needs to be seen right away or whether it is something that qualifies as a "watch and wait" situation. If there is even the slightest doubt, the staff will typically recommend seeing the doctor. Every young patient's health and well-being are of paramount importance to the team at Pinehurst Family Care Center, P.A.